Abram Pulman & Sons Ltd. was established in 1830 as a steel stockholding company. Today, we are a leading steel processing centre in the North of England. As a family run and owned business we pride ourselves on our knowledge, flexibility and service. We supply a diverse range of industries including fabricating, sheet metal, construction and quarrying, engineering, storage, oil and gas, transport, aerospace, rail, offshore and renewable energy and recycling, among others. We believe our key strengths are investment in technology, machinery and people. These three factors ensure that the right products are specified, cut and finished as required and most importantly are delivered on time and within budget whatever the size of order. As a company we are certified to ISO 9001 and EN 1090-2. ISO 9001 is a quality standard focused on achieving customer expectations and delivering customer satisfaction. We are fully compliant for CE marking with full Factory Production Control (FPC) to meet the requirements of BS EN 1090-2 systems and are approved by Lloyd’s Register. Our recently upgraded computer system provides complete traceability of orders allowing us to be more efficient with improved operational performance whilst remaining competitive on pricing. Our knowledgeable team and internal systems provide extra assurance for customers that they are working with a team they can trust. Our steel stockholding is comprehensive to enable fast turnaround on deliveries when required. Products we stock comprise of general steels, engineering steels, bright steels, sectional steel, sheets and plates. You can have full confidence in the Pulmans team as our staff has a vast knowledge of, and a wealth of experience within the steel supply industry. 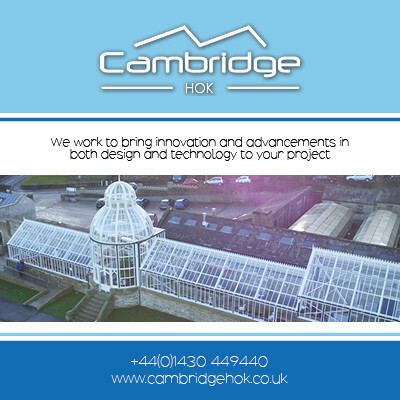 This is vital when working with challenging projects with tight deadlines as you need to be sure that the products ordered are delivered on time. Our steel is used within a diverse range of sectors including fabricating, sheet metal, construction and quarrying, engineering, storage, oil and gas, transport, aerospace, rail, handrails and walkways, offshore and renewable energy and recycling amongst others. Many of our customers see the benefits of out-sourcing both oxy propane and high definition plasma steel profiling. High quality steel blanks, rings and almost any steel shapes can be plasma cut up to 40mm thick using our latest computer controlled high definition plasma cutting machines. Whatever shape you require we can cut it from either a dimensional drawing, DXF, DWG or NC1 file. If the requirement is for thicker steel profiles, our ESAB 4 head oxy-propane machine can cut up to 180mm thick steel plate. Using the latest computer controlled saws, all of our steel stock can be cut to length whether batch quantities are required or just one offs. With 6 precision saws we aim to provide accuracy and quality as well as a fast turnaround and prompt delivery. Situated in Sowerby Bridge, West Yorkshire, we are perfectly located to service our sales area of Yorkshire, Lancashire and Greater Manchester with ease, and can also deliver steel to other parts of the North of England if required. Using our own dedicated transport fleet consisting of 12 customised vehicles of various sizes and payloads, we have ensured we have the flexibility to deliver promptly all the steel products we supply, either in stock sizes, or processed to each customer’s specific requirements, on time and just when you need it.